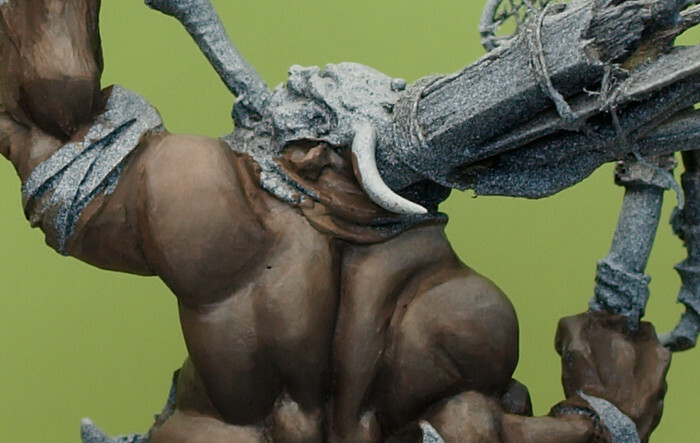 Working on a new project now, it's a friendly gift to Darkezekiels soon-to-be-famous Pirate Oger Army! I converted an Oger Firebelly (is that it's name?) into a creepy black voodoo priest, standing in a swamp, surrounded by a horde of zombies, spitting green toxic stuff toward his enemies. Can't wait for the final result. The modification of the scenery is already great!